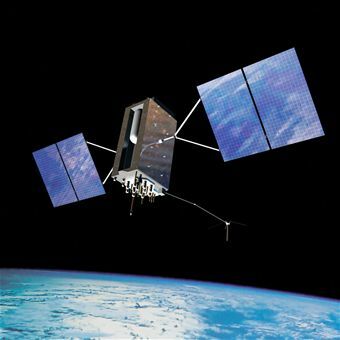 The boards of directors at GeoEye (NASDAQ: GEOY) and DigitalGlobe (NYSE: DGI) have approved a merger, which will be a combined stock and cash transaction worth approximately $900 million. The companies said Monday they expect to complete the transaction in either the fourth quarter of 2012 or the first quarter of 2013. A combined company would have lower dependence on the U.S. government as a source of revenue and have a higher percentage of commercial and international revenue, the companies said. The companies estimate having a pro forma 2012 base revenue of more than $600 million, after adjusting for cuts to the EnhancedView program for fiscal year 2013. “We are excited to be joining forces with DigitalGlobe as we believe this transaction represents the best path forward for our shareowners, our customers, and ultimately, the taxpayer, ” GeoEye CEO Matt O’Connell said in a release. DigitalGlobe previously turned down a $792 million takeover offer from GeoEye, saying at the time it rejected previous buyout offers from GeoEye and offered to acquire GeoEye in March and April. DigitalGlobe President and CEO Jeffrey R. Tarr will serve in the same capacities at the Colorado-based combined company, which will operate under the DigitalGlobe name. Retired Air Force Gen. Howell Estes, chairman of DigitalGlobe’s board of directors, will serve as chairman of a 10-member board and O’Connell will serve in an advisory capacity upon closure. GeoEye’s largest shareowner, Cerberus Capital Management and its chairman and CEO each have agreed to vote in favor of the merger. DigitalGlobe’s largest shareowner, Morgan Stanley Principal Investments and its chairman and CEO each have agreed to vote in favor of DigitalGlobe’s common stock distribution. DigitalGlobe shareowners will own approximately 64 percent and GeoEye shareowners will own approximately 36 percent of the combined company. GeoEye shareowners can acquire either 1.137 shares of DigitalGlobe common stock and $4.10 per share in cash; 100 percent of the consideration in cash, or $20.27 per share; or 100 percent of the consideration in stock for each share of GeoEye stock they own. The combined company will have more than $3 billion in contracting backlog and half of pro forma revenue from non-U.S. government business, the companies said. At close, the companies expect to have a five-satellite constellation and have two earth observation satellites under construction, the WorldView-3 and GeoEye-2. Morgan Stanley & Co. and Barclays are serving as DigitalGlobe’s financial advisers, and Skadden, Arps, Slate, Meagher & Flom LLP is serving as DigitalGlobe’s legal counsel. Goldman, Sachs & Company, Convergence Advisers LLC and Stone Key Partners LLC are serving as GeoEye’s financial advisers and Latham & Watkins LLP and Kirkland & Ellis LLP are serving as GeoEye’s legal counsel.